Tarryall reservoir is about 2 hours from Denver and an hour and a half from Colroado Springs to the west. Tarryall is a State Wildlife Area, but does there are no fees for vehicles. A Habitat stamp is required for anyone fishing the lake. Taryall is home to cutthroat, cutbows, brown trout, rainbow trout, and northern pike, but is best known for good action on stocker rainbow trout. However, some of the fish that were netted out of Antero were stocked into Tarryall and there are some big pike in this lake as well! This lake is fairly shallow, but does have a deep end and rarely winter kills. 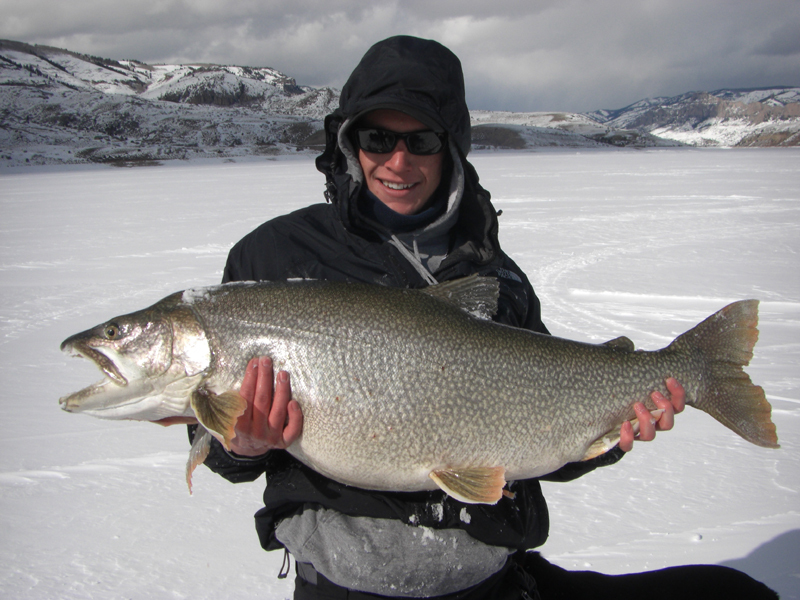 A typicall day of ice fishing on one of our trips will yield 10-30 average sized rainbow trout depending on the stocking for that year. This is a beautiful lake with great action most days!